Unfortunately, sleep troubles are common in our 24/7 society. Using technology before bed, the all-day and all-night news and media cycle, and the increasing stress and pressures of the 40-hour workweek all impede on our precious bedtime. Due to the national prevalence of sleep loss, it’s no wonder that so many people look to supplemental interventions to improve their sleep. Most people do not want to take a heavy-duty sleep medication prescribed by a doctor, such as an antidepressant, antipsychotic drug, or dangerous and addictive sedative. Instead, the average person’s first line of defense is typically a sleep supplement, such as valerian root or melatonin. Have you ever wondered which supplement is best for improving your quality and quantity of sleep? In this post, we’ll compare valerian root and melatonin to see which one is better. The answer may surprise you! Have you heard of valerian root before? It’s a plant that’s native to Asia and Europe. Its name comes from the Latin verb “valere,” which means to be strong or to be healthy. Valerian root is also known as nature’s Valium. It has been used to treat sleep disorders in Europe for decades. While it has been used in traditional medicine for over 2,000 years, the early Romans were the first people to use it — they made perfume from its flowers. Currently, the extract is sold as an herbal supplement and is considered safe according to the Food and Drug Administration (FDA). A number of studies have revealed a wide range of benefits of valerian root, from calming nerves to improving a good night’s sleep. So How Exactly Does Valerian Root Work? The extract is thought to include a number of compounds, such as isovaleric acid, valerenic acid, and other compounds that may reduce anxiety and promote a restful sleep. Valerian extract has also gained attention for its action on gamma-Aminobutyric acid (GABA) mechanisms in the brain. In pharmaceutical research, low GABA levels have been associated with poor sleep quality and higher levels of anxiety. In addition, valerian is hypothesized to halt unnecessary or excessive activity in the amygdala.8 The amygdala, part of the limbic system, is responsible for the processing of emotions. Valerian root may also have other mood-regulating properties. One study examining the emotional regulation of mice revealed that after several weeks of valerian extract administration, the mice were better able to cope with psychological stress by maintaining healthy serotonin levels.10 Serotonin is well known for its association with mood regulation and for its anti-depressant properties. The valerian plant has such strong mood-regulating properties that psychiatrists have used it as an alternative to psychiatric medications that often come with intolerable side effects. One double-blind randomized study found that the supplement has significant anti-obsessive and anti-compulsive effects in individuals suffering from obsessive-compulsive disorder (OCD) when compared to a placebo group.11 Individuals who took valerian extract instead of psychiatric medication found relief from their OCD symptoms without experiencing any significant side effects. Another exciting application gaining attention in the medical field is the use of valerian root for children who have trouble focusing or experience hyperactive symptoms during the school day. Now that you understand the theory behind how valerian root acts on the brain in order to induce relaxation, it’s time to examine how this extract can improve both sleep quality and quantity. Valerian’s mild sedative properties are derived from a number of compounds within the plant, specifically those that act on GABA and serotonin receptors in the brain. In addition to its anti-anxiety effects, valerian is hypothesized to improve your sleep quality and reduce the time it takes to fall asleep with no side effects or “hangover” in the morning. Now that over 30% of Americans are not getting enough sleep, it is more important than ever to examine all of the options for treating insomnia, sleeplessness, and restlessness at nighttime. This is why research into natural alternatives, such as valerian root, is increasingly popular. 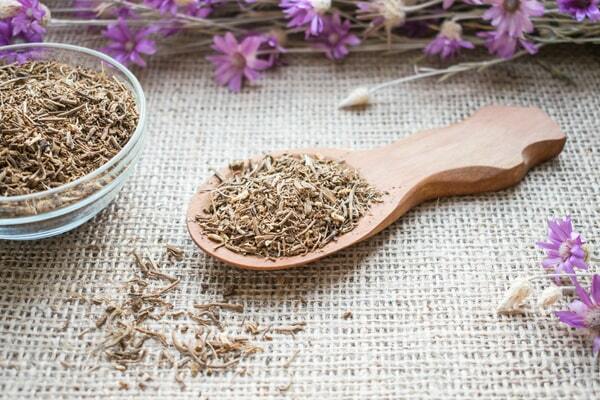 Let’s take a look at some of the studies on valerian root’s sleep-enhancing properties. Another study, although small scale at only 14 adults, found valerian extract effective for improving sleep quality. A single dose of valerian root caused individuals to reach a deep state of sleep 36% faster than the control group. Another well-studied use for valerian root is for helping individuals who are coming off of stronger sleep medications. Valerian has been studied to be beneficial for insomnia in patients who are coming off of psychiatric medications such as benzodiazepines. Now it’s time to look at valerian root’s counterpart, melatonin. You may have heard of melatonin before, but what you may not know is how it gives you a good night’s sleep. Melatonin is a popular over-the-counter supplement for insomnia and occasional sleeplessness. But do you know how it works? It may surprise you, but melatonin is not a sleeping pill. 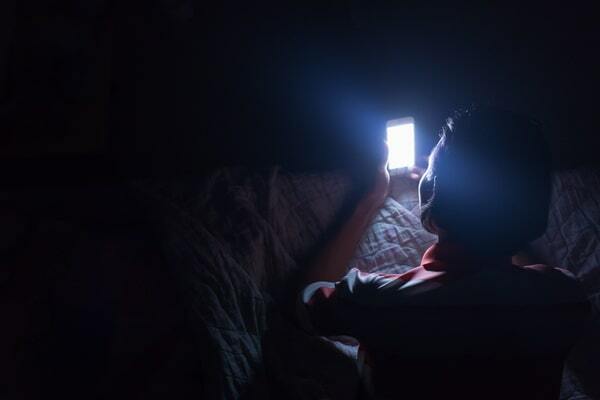 Have you ever wondered why the light from your cell phone or television interrupts your sleep cycle and keeps you up later than you planned? Melatonin is a hormone naturally produced in the pineal gland that plays a role in regulating your circadian rhythms. The pineal gland is inactive during the day. When the sun goes down, the pineal gland “turns on” and releases melatonin to alert the body that it’s time to sleep, and, as a result, you feel tired. This signal may get interrupted by the light emitted from cell phones, television, and other electronic devices. In contrast to valerian root, melatonin helps you sleep by inducing the sleep portion of your sleep/wake cycle. Also known as the circadian rhythm, your sleep/wake cycle is an internal clock that balances the body between states of sleepiness and alertness. Melatonin does not act on the brain in the same way as valerian root. Melatonin is actually a hormone already present in your body. By taking the supplement, you induce the release of melatonin into your brain. Unlike valerian root, which can be administered during the day to improve symptoms of anxiety, OCD, and ADHD, melatonin works best when it is taken at night, as it mimics the induction of a natural sleep state. Some worry about becoming dependent on melatonin or experiencing negative side effects such as a hangover effect. Wrap-Up: Valerian Root vs. Melatonin, What’s the Verdict? We’ve looked at the current research on both valerian root and melatonin, how they work, and how they induce a good night’s sleep. Valerian root is an herb that acts as a sedative by influencing GABA receptors and serotonin levels in the brain. Melatonin is a hormone that improves the body’s sleep/wake cycle when taken at night. These supplements have relatively similar effects, although they work differently in the body to improve sleep. Valerian root is thought to be more effective at inducing a “deep sleep,” while melatonin may be more beneficial for getting your sleep cycle back on track if you work nights or are jetlagged from traveling. Either way, the truth is, everyone’s body will react differently to each supplement. Some people find no help from melatonin, while others take it religiously. Valerian root may have sedative effects on you and not someone else. Instead of asking which one is better, the question should be, which one will be better for your body? Because both supplements have been shown to improve overall sleep quality, you can try one or both. Some take both supplements for a combination that will complement each other to help you fall asleep faster and sleep deeper. Are you ready to try one to get your sleep on track?